One of my favorite David Bowie songs says it best. 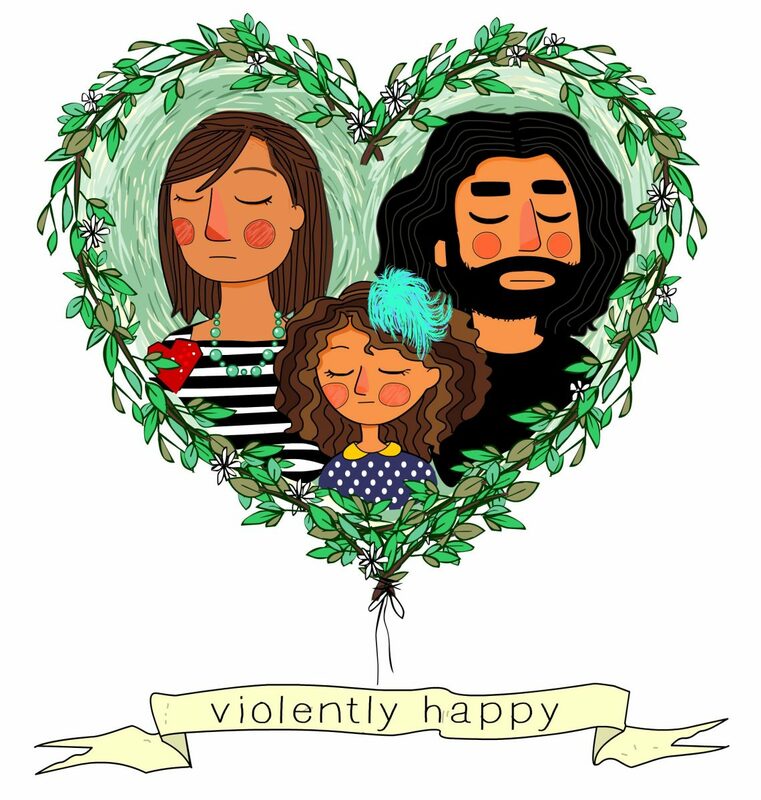 I am collaborating with the talented Art Director, Antz to redesign Violently Happy. We are playing around with new color palettes, fonts and streamlining the mess I had on the side. I am already in love with the fancy new header he made me. What a sweet Valentines day gift! What do you think? We have a bunch more to work on but so far me likey! It’s very hard to not want to buy everything they have. I hope to get a pair of these charming earrings on my next visit. I couldn’t resist this hair bow. I love that it can double as a bow tie. Leslie bought a blueberry pie from this place last summer but I have been wanting to see what they have for myself. Since it was lunch time and we hadn’t eaten, I opted for the mac & cheese pocket to split with Liv. So amazing! I couldn’t leave without getting my love a treat so I got the crostata chocolate pie. They have the yummiest pie crust I’ve ever had…and I’ve eaten several Marie Calendar’s pies! The arts district has the best graffiti in town. Liv always gravitates to this mural. She like the owl. Hope you lovelies have a happy happy Valentines day! !